This probably isn't the publicity Honda needed ahead of the new Odyssey's debut at Detroit in a few weeks. Honda is the latest automaker to issue a mass recall in response to safety concerns. 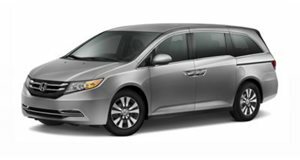 In this case, the issue affects the humble Honda Odyssey minivan, which probably isn’t ideal publicity for the automaker considering the next generation Odyssey will be revealed in a matter of weeks at the Detroit Auto Show. According to Automotive News, Honda has issued a stop-sale order and recalled 641,302 Odysseys due to two glaring safety issues relating to the seats. The automaker said that the main recall relates to a mechanism that “allows the outboard second row seats to tilt and slide forward for access to the third row seating area and may not properly lock the seat into place when it is returned to its normal position.” This increases the risk of injury to passengers in the second row if an accident were to happen. The recall affects 633,753 Odysseys from model year 2011 – 2016. Honda said that the issue was discovered through warranty claims and that no crashes or injuries have been reported, so the recall comes as a precaution. To rectify the issue, dealerships will install additional brackets and springs to both outboard second row seats. Affected owners will be contacted in late January, and dealerships will inspect the latch mechanism and adjust it accordingly if necessary. Again, no crashes or injuries have been reported as a direct result of the issue, which was discovered during internal quality checks at Honda. While the safety of its consumers must always be a priority, the sheer quantity of recalls isn't exactly an ideal situation for the Japanese automaker.